Melbourne Airport is a major international and domestic gateway and the principal airport serving Melbourne, the second most populous city in Australia – at 30 million passengers a year is also the second busiest airport. The airport is so integral to the city that it has its own postcode and as it is adjacent to the Tullamarine suburb it is often referred to as Tullamarine airport by locals. 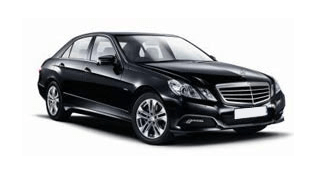 HAPPYCAR offers various attractive options for a Melbourne airport car hire so that wherever you decide to go, your stay in Australia is stress-free from day one. We check the prices of international and local providers so that you don’t have to check each website, and provide you with the best deals to make your money go further. As soon as the airport was built in 1967, it was already serving over 155,000 people and handled six international airlines, and expansion was quick. The airport now has four terminals with a wide range of eating and shopping options along with business facilities. The fourth terminal is dedicated solely to budget airlines, a first for Australia. The location of the airport, located just 14 miles north of downtown Melbourne, means that you can immediately take advantage of the excellent road network with a car rental Melbourne airport and through into Australia, a dazzlingly diverse country that features stunning scenery and multicultural melting-pot cities. Driving in Australia is almost mandatory as the distances can be great and as parking charges are high around the airport, taking a car hire Melbourne airport is widely seen as a sound and more affordable option, even for locals. Melbourne is usually the first port of call outside of the airport and is a multicultural jewel in the country’s crown. Replete with Victorian-era architecture and cutting edge developments, there is much to see and enjoy in this city alone. You can also easily access roads that lead into the rest of Australia and on to all the major cities in the area, such as Sydney further north and you can take a beautiful coastal drive to enjoy the city’s treasured place in the country. You can also head further south to places like Adelaide with a speed, convenience and personal freedom that public transportation just can’t beat. There is so much to see in this part of the world, and a car hire Melbourne airport can make this journey a reality.